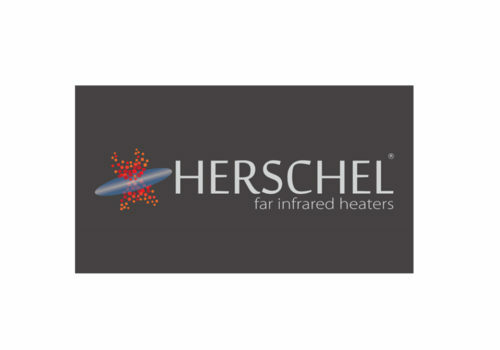 Herschel was founded in 2008 to develop Far Infrared technology as a more efficient and innovative heating solution. Herschel was founded in 2008 to develop Far Infrared technology as a more efficient and innovative heating solution for businesses, organisations and homes. The company takes its name from William Herschel, the discoverer of Infrared and its excellent heating properties. Herschel is an international company with UK headquarters in Bristol and has been at the forefront of Far Infrared technology as the most efficient and effective form of heating. Herschel takes pride in the delivery of stylish solutions that provide what it calls “Comfort Heating” and it offers the widest range of Far Infrared heaters in the world. Herschel has heaters for nearly all environments and these innovative products, combined with excellent control systems, ensure the highest quality and efficient heating. And the company’s innovative app-enabled Herschel iQ system provides full zoning and control of the heating system. The company prides itself on the continual development of heating technology solutions, backed by its expertise and knowledge to deliver best service for customers, with unique training and accreditation for dealers and installers. It is recognised for its commitment to price and quick return on investment through energy efficiency. 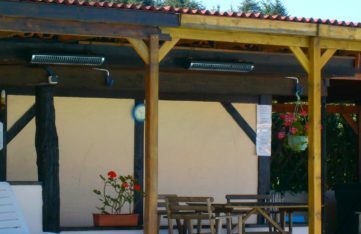 Its infrared heaters provide tested solutions that are an economical alternative to traditional systems using gas, electricity or oil. Quality is key and Herschel uses the most exacting control standard for all products and processes to ensure an end-to-end audit trail of heaters and components. 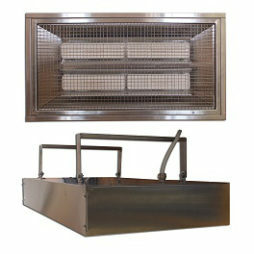 Herschel heaters provide peace-of-mind for customers. They have the necessary IP rating and are tested to International Safety Standards (EN 60335) by a certified, leading laboratory. They are RoHS and EMC Directive compliant and offer full certification for these. The Herschel range includes the Inspire and Select radiator panels series; the Advantage indoor commercial and space heating range and the Aspect outdoor and leisure space heating range. Far infrared is a fundamental form of radiant heat, much like that you feel from the sun, an open fire or the warmth from another person. The enduring love of fires is testament to the age-old understanding of the comfort they provide, by heating objects that then radiate this back to keep the space around you warm. 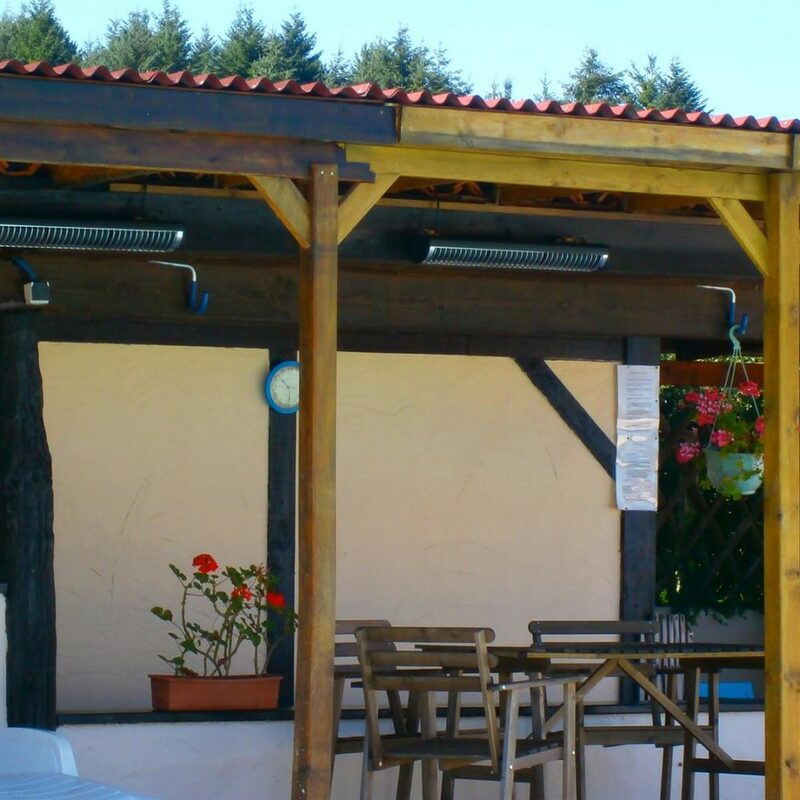 Infrared heaters do not waste energy by heating the air. This is how conventional systems like central heating work, while being very inefficient, they have been the top choice because the fossil fuels like gas, oil and coal have until recently been incredibly cheap. 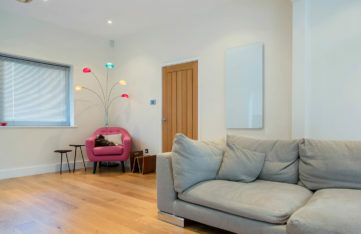 Now Hershel is leading the heating revolution with energy-efficient far infrared heating panels. These heat room surfaces and raise the mean radiant temperature (MRT) without wastefully warming the air. Infrared waves release heat energy when they touch surfaces and objects warm up, holding and releasing the heat back. You will be warmed in a room where objects are warmer than you are, you would feel cold if you are holding more heat in your body than the surrounding objects. It’s why we can feel cold in centrally heated rooms, which only heat the air not the objects. Conventional central heating inefficiently raises air temperature so it is greater than MRT. 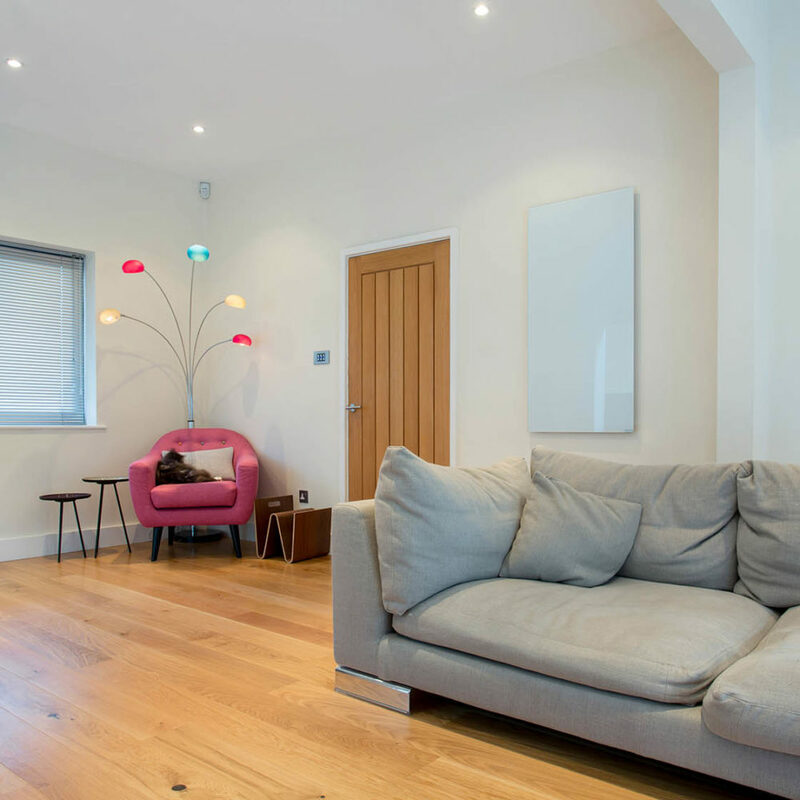 Herschel Far Infrared heaters are almost 100% energy efficient and with effective controls reduce energy consumption by up to 60% in comparison with central heating and other traditional systems. This is because a 1 kW central heating “radiator” only actually radiates between a quarter and a third of its energy – the rest is released inefficiently by convection. Compare that to a 1kW radiant heater operating at 100°C which will radiate 93-97% of the energy. Herschel panels are designed for what is called “optimum watts density” at the panel surface to produce the most effective and efficient far infrared. 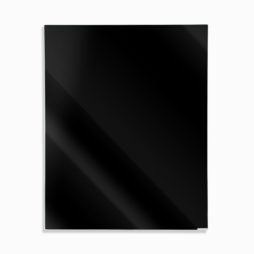 Other panel products that get this wrong only ensure more energy consumption and reduced comfort. 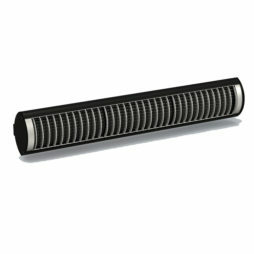 Herschel infrared panels Infrared are cheaper to run than oil or gas as well as being a more efficient radiator. It’s true that A-rated modern gas boilers per-hour running costs are marginally cheaper but they need to run for three times longer every day to get the equivalent of the 24×7 heat from infrared. The beauty of infrared is that once the room is heated and everything is warmed through, it only needs the occasional quick top ups. But inefficient traditional systems continually work to keep the warm air at the temperature set by the thermostat. Infrared is also much more effective technology, with no heat loss from having to heat water or oil in radiators or needing to pump hot water around piping. It’s often forgotten that gas and oil boilers need electricity to operate and these costs need to be factored into any comparison. While A-rated condensing boilers can reach 97% efficiency, larger radiators are needed to ensure the boiler works effectively and this means extra expense. Remember too that boiler efficiency deteriorates rapidly after the first three years, with ongoing maintenance costs and replacement after around 10 years for the best quality brands. Herschel infrared solutions are maintenance-free and you should not need to replace them. 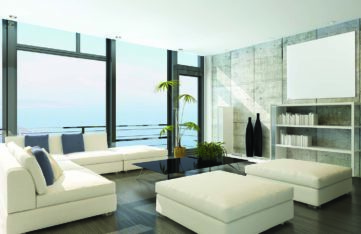 Herschel provides the widest range of infrared heating for any environment. Stylish and effective solutions are available for domestic, commercial and industrial settings, for education and health sectors.